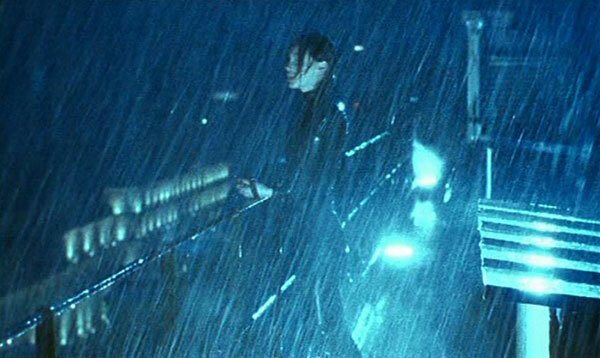 Maggie Cheung has enjoyed a diverse film career with many high points, but it’s hard to argue with the indelible image of her acting in a black leather cat suit. Her filmography includes remarkable parts in Wong Kar Wai classics like In the Mood for Love and 2046 along with memorable roles in Hero and Chinese Box. She’s known as more of a quiet actress, and her part in Olivier Assayas’ Irma Vep might seem like a departure. Cheung plays a character of the same name who’s starring in a French silent film based on Les Vampires. While she’s clad in the striking outfit, it’s the isolation of her character that takes center stage. 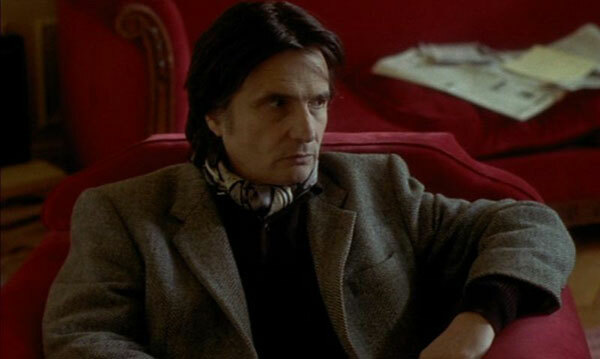 Her lack of proficiency in French makes it difficult to communicate, and the standoffish director René Vidal (Jean-Pierre Léaud) offers his own set of challenges. This intriguing picture is the latest entry in my Blind Spots series, which is focusing on cult films this year. The 1996 film depicts the chaos of a movie set, especially in a world far from mainstream cinema. While Maggie’s story is the focus, she also serves as our entry point into this fictional take on French cinema. The grumpy cast and crew snipe at each other and get little enjoyment out of making a movie. The director is angered that everyone doesn’t share his vision and takes it out on the resentful crew. Assayas (Carlos, Summer Hours) takes aim at the pretentions of modern French directors, but it’s hardly just a takedown of high-minded filmmakers. The journalist who decries this trend of self-absorbed films to Maggie cites Arnold Schwarzenegger as a counter point. It’s clear that Assayas isn’t presenting overblown commercial films as the best route. He’s pushing for originality without slipping into artistic chaos. René seems like an idiot who doesn’t understand the audience, but his passion seems charming when compared to the grump who replaces him. That slimy guy has no energy and lumbers through his job like he’d rather be doing anything else. He’s the polar opposite of René yet shares the lack of attention on the viewer. An extended scene has Maggie catching a ride with the costume designer Zoe (Nathalie Richard) and hanging out with her friends. They share stories and laughs, and the camaraderie is much different than the atmosphere on the set. Maggie doesn’t understand many of the conversations in French, but there’s a casual feeling to this party that keeps her comfortable. Zoe’s clearly attracted to her, yet there’s a distance between Maggie and her new friend. She’s a stranger in a new country, and this approach to cinema differs from her experience making action films. Even so, it’s inspiring to her despite the cultural obstacles. René is criticized frequently, particularly after his breakdown. Maggie’s one of the few to defend him, and she doesn’t mind the lofty ambitions of this remake. It feels like a strange choice to re-do, especially when he decides to shoot it again as a silent film. The criticisms aren’t entirely wrong, though he still does enough to draw in the new arrival. Irma Vep's pivotal sequence has Maggie donning the cat suit away from work and stealing jewelry. This moment feels like a dream, and Assayas makes us question what we’re seeing. Maggie is turned on by wearing the outfit, and fantasy and reality mix in this confounding scene. Did she really commit a crime? Assayas won’t give us an easy solution, and that’s hardly the point. It shows the way that Maggie’s being seduced by this intellectual world despite its flaws. René pushes to create something new, and that excites her even with the flaws. She becomes a disciple and is comfortable wearing the outfit while her co-stars struggle with it. The plot grows a bit meandering, yet Cheung never strikes a false note. We’re connected with her even when her behavior gets erratic. She grounds the story and makes it more than a biting portrayal of the French movie world. This is a film I really want to see as I love Maggie Cheung and Olivier Assayas. If you're a fan of Cheung and Assayas, you should definitely check out this movie. I haven't seen enough of his work to comment on its place in it, but it's definitely worth seeing for her performance. I'll admit that I love this film primarily because of Maggie Cheung...Not simply because she's gorgeous (though she is radiant here), but due to the fact that she is so damn watchable throughout the film. There's something so natural, pleasant and completely endearing about her performance and her, uh, character (ie. herself). My friend Kurt (we both write at RowThree - though he much more than I) wrote about a specific scene from the film a few years ago that highlights ever point of why I think it's a great work. Thanks for the link to that post, which covers one of the most interesting scenes in the movie. I'll admit that my Assayas background is very small; I really need to check out more of his work. I'm right with you on Maggie Cheung, and that's a good point about how natural she is. That's one of her best qualities and is definitely spotlighted in this film. Thanks for stopping by!